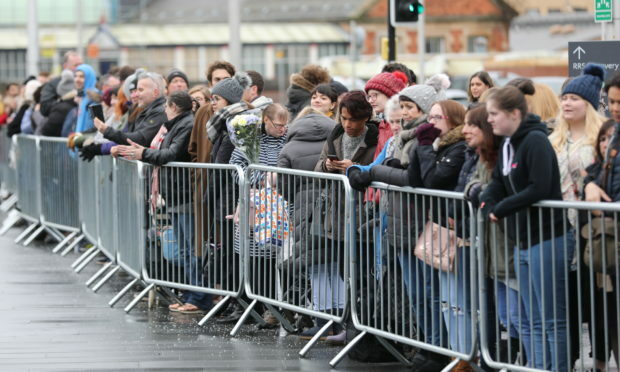 Meghan Markle and Prince Harry's visit to Bristol went ahead despite the snow and ice in the city. She then added the hashtag #TBT. "What she did with Grenfell was great and that, I think from a popularity point of view, was really strong, but again I still think she has a bit of work to do". Meghan replied: "It's good to have a balance of both". Because I would do the same. Meghan actually took her time out to write that on there. Ms Smith said: "They understood the need for blankets, hot water bottles and the tender care that we give out on the van and that tonight will be a very hard night for the women". "She grew up to be the Duchess of Sussex and I grew up to star on the West End, so same life if you ask me", McPhee joked.